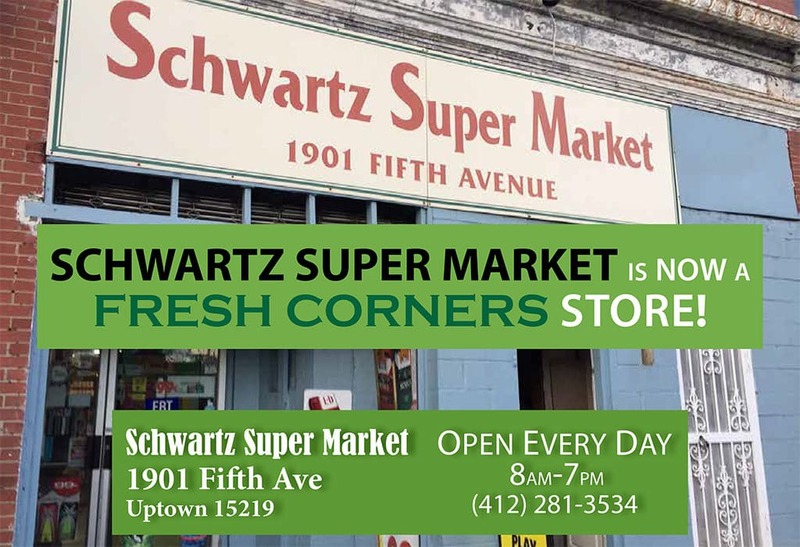 Fresh Corners is bringing healthy food to corner stores in "food deserts"
In 2015, Just Harvest and the Allegheny County Health Department launched Fresh Corners, a healthy corner store initiative to improve access to fresh food in underserved Allegheny County neighborhoods. 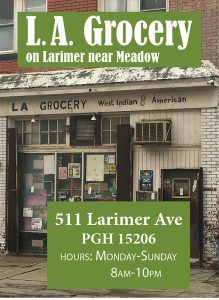 According to a 2012 federal report, among cities of its size (with populations of 250,000‐500,000) Pittsburgh has the largest percentage of people residing in communities with “low‐supermarket access” – food deserts. Nearly half (145,245) of Pittsburgh residents were experiencing this low access, and 71% of them were low‐income. 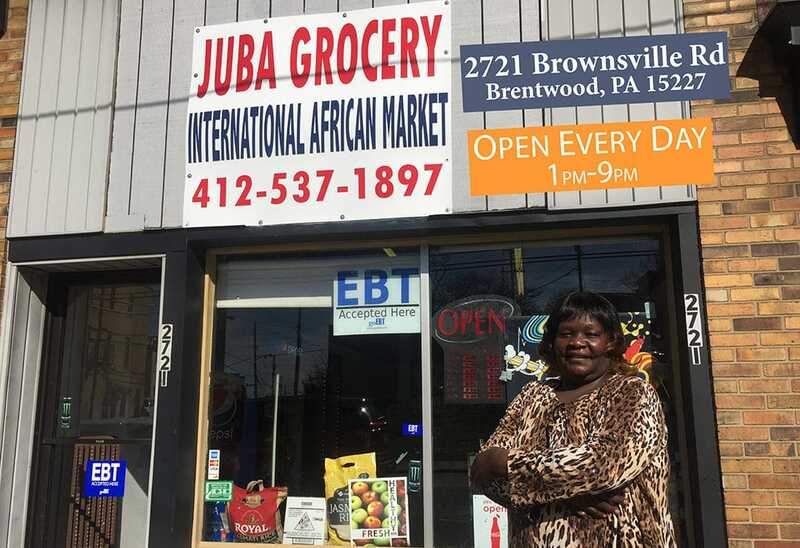 Our 2013 food desert report, “A Menu for Food Justice,” concluded that in solving this problem, “one size doesn’t fit all.” Just because a neighborhood lacks a large supermarket doesn’t mean a large supermarket is the solution for all food deserts. 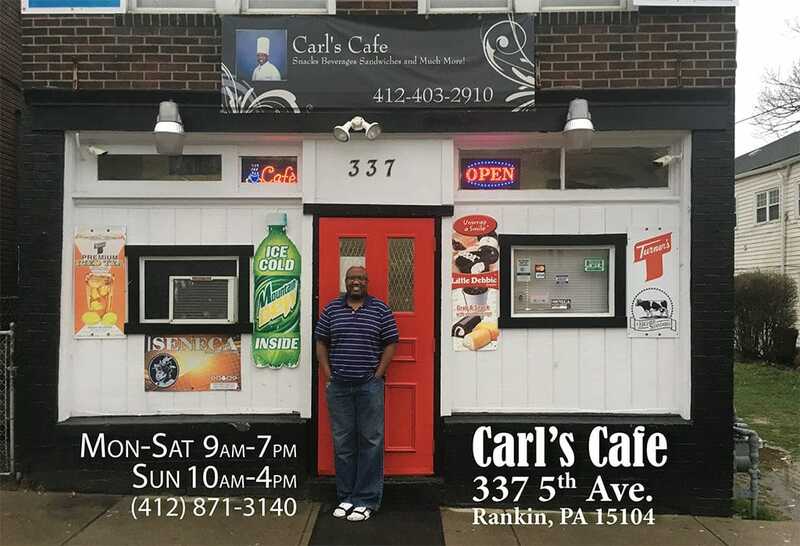 Diverse struggling neighborhoods have different sorts of barriers to access to nutritious and affordable food and different sorts of resources to address them. 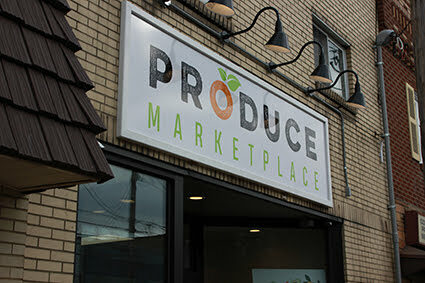 Like Fresh Access – our successful program to enable farmers markets to accept food stamps – Fresh Corners is a forward-looking and creative response to the problem of “food deserts.” The program seeks to improve communities from within by partnering with local store owners to provide affordable access to fresh, nutritious, foods. 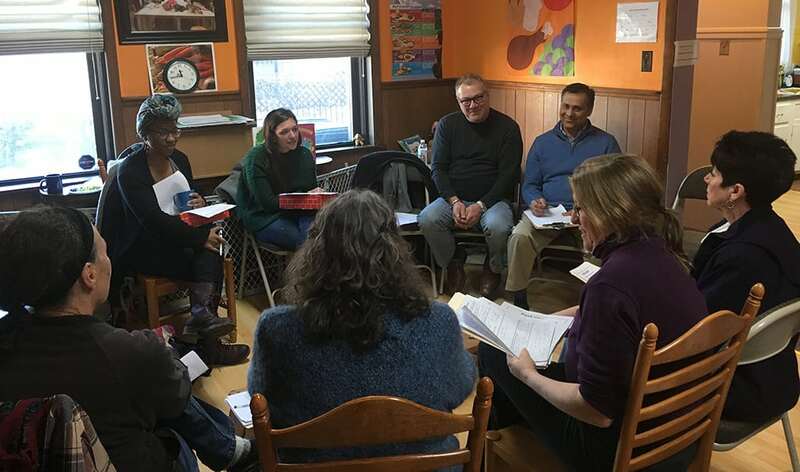 Our staff begins with a series of neighborhood assessments, stakeholder meetings, and focus groups necessary to identify the corner store owners and communities that are ready to undertake these new ventures. 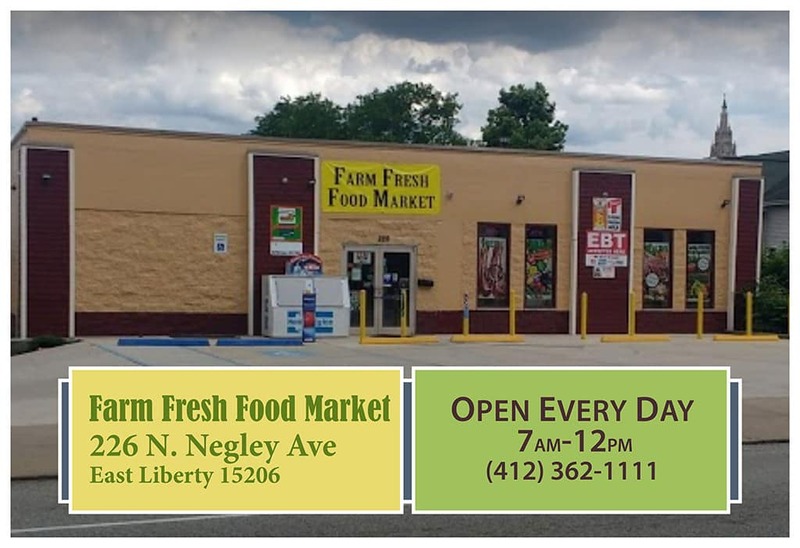 We make sure any store that joins the Fresh Corners network is also a SNAP retailer so that its new healthy foods can be purchased with food stamps. 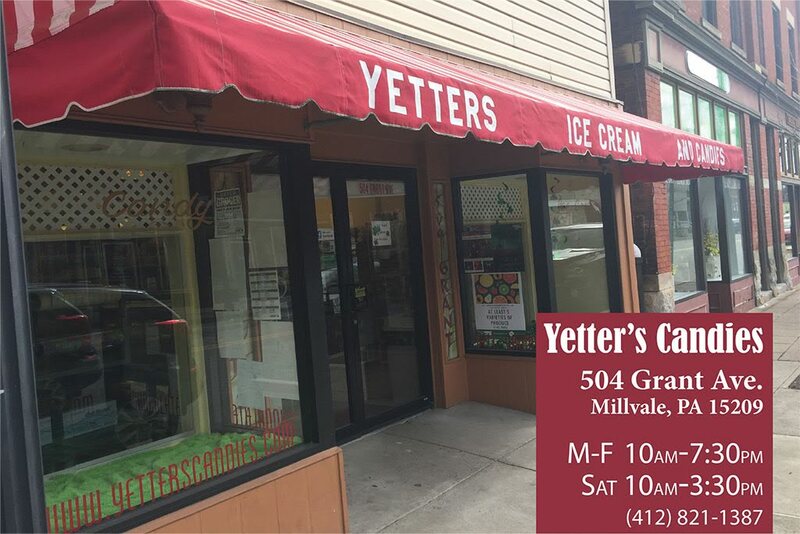 We supply store owners with the information and materials they need to succeed, and provide shoppers with nutritional information, such as through the Green Light Foods mobile app. 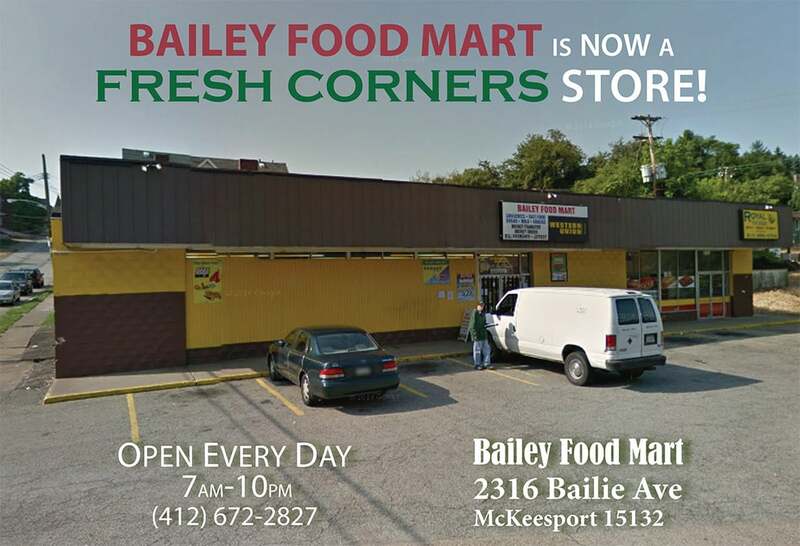 We are proud to partner with the Allegheny County Health Department to use nationally proven models for healthy corner store development as part of the food access solution for low-income neighborhoods and the people who live in them. 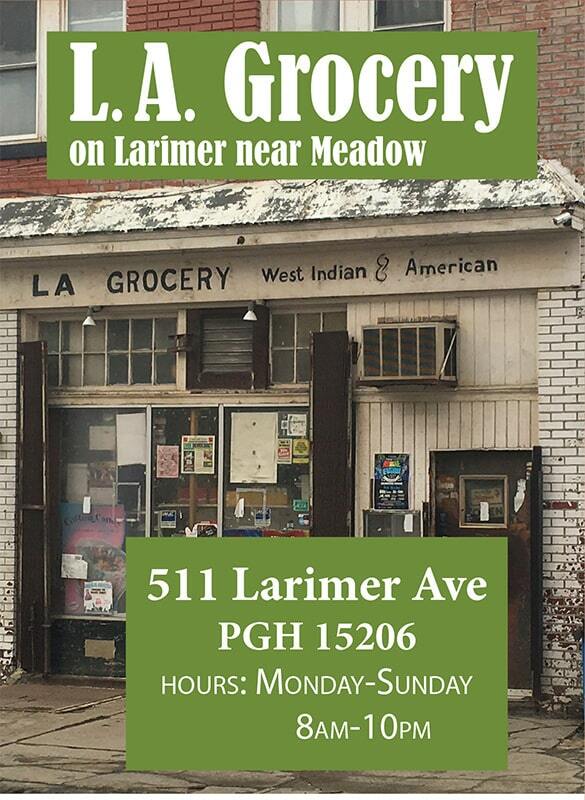 We are also proud of the fact that eight of our nine current Fresh Corners store owners are people of color. 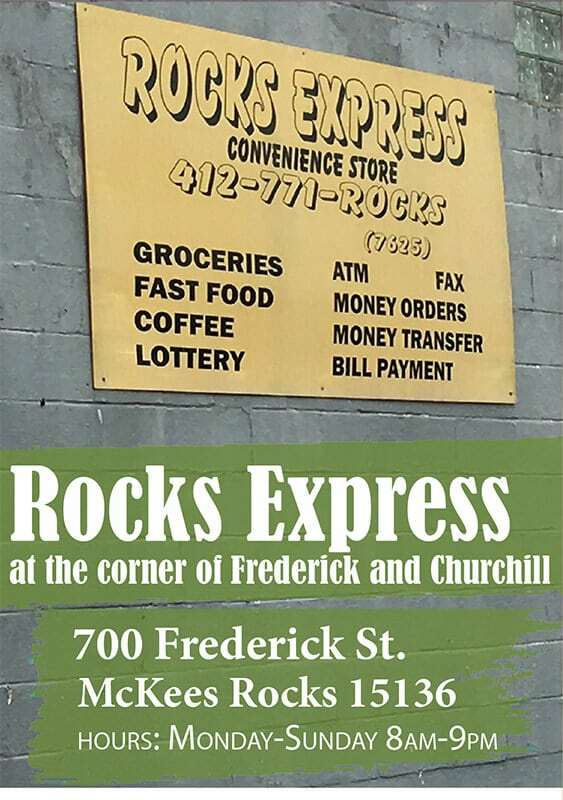 The Fresh Corners program has partnered with the Food Trust in order to provide the Food Bucks program at select Fresh Corners stores. The Food Bucks program aims to help SNAP shoppers purchase more fresh produce by providing coupons and incentives for SNAP purchases. For every $5 that a customers spends in SNAP they receive a $2 Food Buck to purchase fresh produce at the store. SNAP transactions below $5 will still receive one $2 Food Buck. 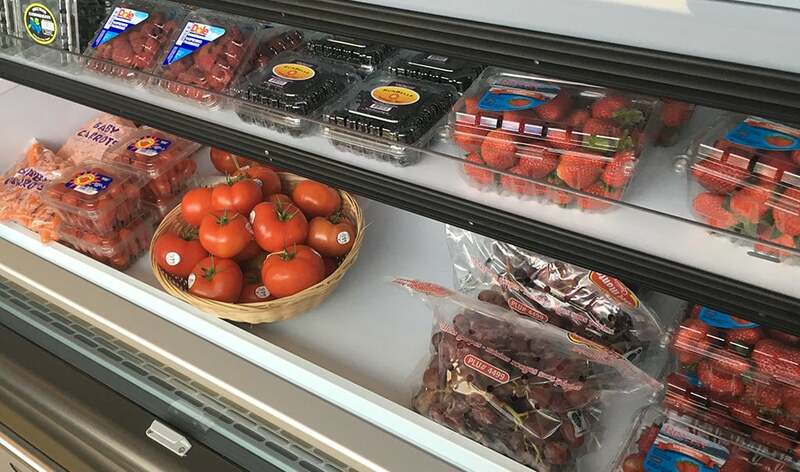 Fresh fruits and vegetables like apples, bananas, oranges, potatoes, and onions are now available – and can be purchased using food stamps – at the following nine stores (with one more in development). 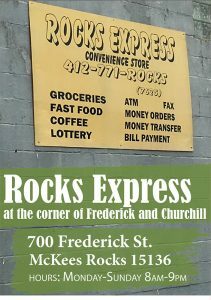 Want to see a Fresh Corners store in your neighborhood? 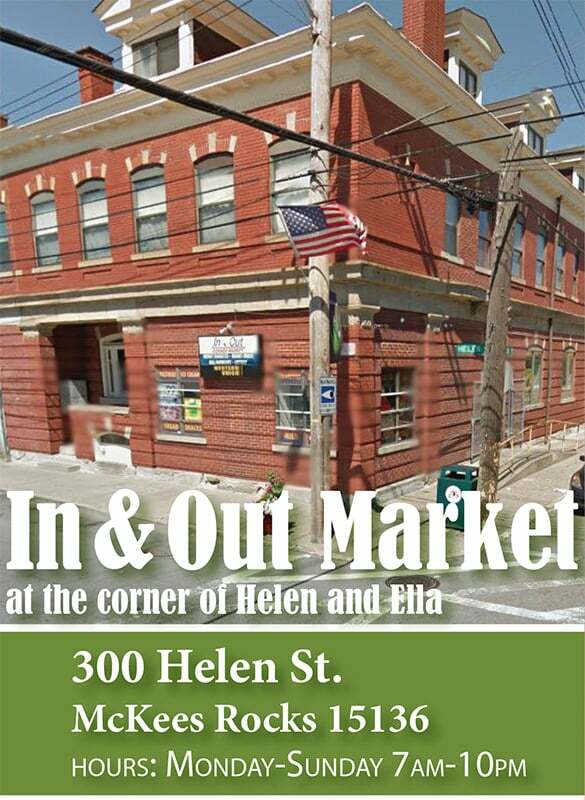 Fresh Corners is a program of Allegheny County Health Department’s Live Well Allegheny, which is a comprehensive, innovative strategy on wellness that embraces a broad concept of living well to include physical health, mental wellness, personal and community safety, prevention and preparedness, and much more. 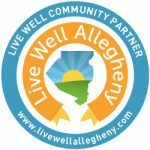 Live Well Allegheny is funded in part by the Richard King Mellon Foundation. Type “For Fresh Corners” as your answer to the “What inspired you to give?” question. Or you can send a check to us with “Fresh Corners” in the memo, or call us at (412) 431-8960 x601 so we can take your donation over the phone.